BJP dividing society, says Rahul Gandhi, Congress vice-president Rahul Gandhi on Friday accused the BJP and the RSS of creating divisions in society “with a single aim of retaining power”. Mr. Gandhi was on a day-long tour of the Marathwada region of Maharashtra. “In Haryana, they [BJP and RSS] pit Jats against non-Jats, in Maharashtra they pitted Marathas against non-Marathas and their aim is to somehow retain power. What about the major questions the country is facing,” he asked. 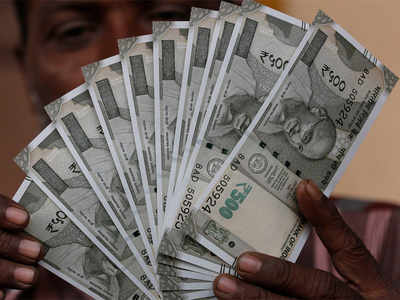 Note ban: I-T unearths Rs 246 crore deposit in benami account of ‘TN neta’, Sleuths of the income tax department (Tamil Nadu and Puducherry region) have detected a bank deposit of Rs 246 crore, made in a single transaction, during the ongoing drive against black money in Tamil Nadu. Sources said the money, suspected to have belonged to a leading politician, was deposited during the demonetization exercise carried out between November 8 and December 30. 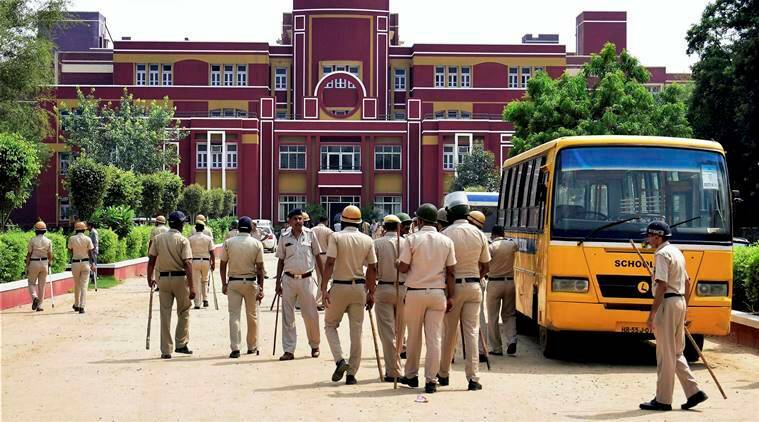 Student killed at Ryan International School: ‘They cut my poor boy, never thought I will see him like this’, It took a lot of convincing to get Pradyuman out of bed on Friday morning. After going through the rigorous morning routine, including breakfast and packing school bags of his children, Vinod Chand Thakur finally managed to drop his son and elder daughter, Vidhi, outside the gates of Ryan International School. “He waved at me and I waved back,” said Vinod. Fifteen minutes later, he received frantic calls from his wife, and half an hour later, Vinod saw his son’s body at Artemis hospital. Army to induct 800 women into military police, In yet another significant step towards inducting women into the military, the Army on Friday said it would admit nearly 800 women into the Corps of Military Police in non-officer ranks over the next few years. While the decision had been in the pipeline for some months now, the announcement came a day after India’s first full-time woman Defence Minister Nirmala Sitharaman assumed office. Adjutant-General Lt.Gen. Ashwani Kumar told a conclave of retired Army chiefs that the decision has been taken to introduce women in the ranks, starting with the Corps of Military Police. The Army, at present, has women only in the officer ranks, and that too just a few thousand of them. First Blue Whale case in Bengaluru; two boys caught playing the game, It’s unnerving and true. The Blue Whale Challenge-a 50-day deadly online game that asks the player to commit suicide in the climax -has entered Bengaluru. In the first reported case yet, two friends hooked to the game are being counseled against playing the game further. The boys, aged 18 and 19, are second-year commerce students of a prominent college in the city. Lecturers nabbed them when the younger boy came to the class late last month, sporting an injured left wrist. 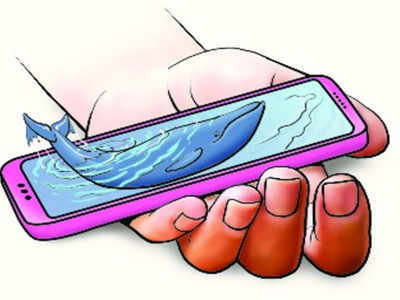 Police privy to investigations told TOI the boy’s WhatsApp status read ‘I’m on the way’ with a blue whale as a display image. 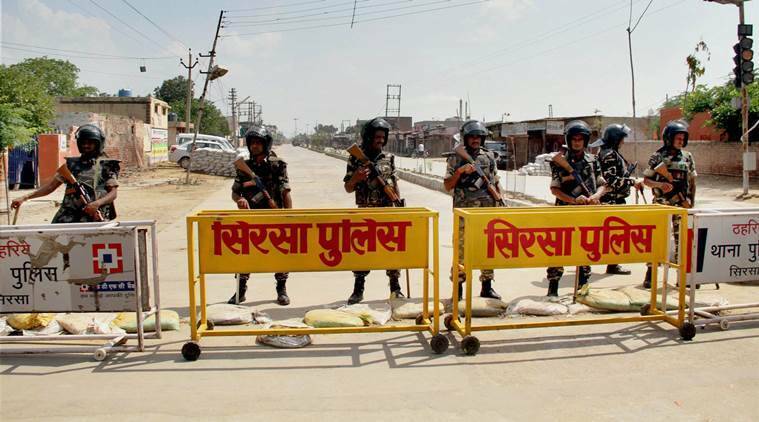 Illegal explosive factory discovered inside Dera headquarters on day 2 of the search operation, gets sealed, The search team comprising of Haryana police officials, paramilitary forces and the army, discovered an illegal explosives factory inside the 700-acre Dera Sacha Sauda complex in Sirsa district on the second day of the operation. Speaking to reporters, Deputy Director of Haryana PR Department, Satish Mehra said the illegal factory was shut down on discovery. “Illegal explosives factory inside Dera Sacha Sauda premises sealed. Explosives and fire crackers were seized,” Mehra said. Original license necessary to ensure road safety: govt., In response to a couple of cases filed against the rule that insists on carrying original licenses, Transport Commissioner Dayanand Kataria said the government’s move was aimed towards ensuring road safety and reducing the number of accidents which had been on the rise year after year. The Commissioner said that 1,05,091 people had died and 5,12,292 had suffered injuries in 3,80,452 road accidents that had taken place in the State between 2011 and July this year. 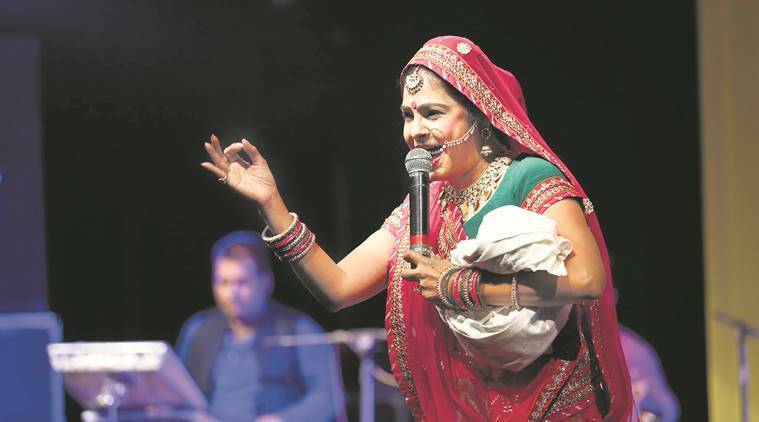 Chandigarh Art and Heritage Festival: Malini Awasthi aims to bring back fragrance of folk music to people, it was a magical and melodious opening to the 9th Chandigarh Art and Heritage Festival with Padma Shri awardee Malini Awasthi taking centre-stage to present the flavour of folk at the Tagore Theatre on Friday evening. Organised by the Chandigarh Sangeet Natak Akademi, Awasthi, a core member of UNESCO, is the student of legendary Hindustani classical singer Girija Devi of the Banaras Gharana. Saudi Arabia suspends dialogue after Qatar outreach, accuses Doha of ‘distorting facts’, Saudi Arabia on Friday suspended any dialogue with Qatar, accusing it of distorting facts soon after a phone call between the rulers of both countries offered hope of a breakthrough in the three-month-old Gulf crisis. Qatar’s emir, Sheikh Tamim bin Hamad Al-Thani, spoke to Saudi Crown Prince Mohammed bin Salman to express interest in talks, state media from both sides said, in the first public dialogue between the leaders after the US president offered to mediate in the crisis. Irma bears down on Florida; more than five million people told to flee coast, Irma trained its sights on Florida and officials warned more than 5 million people that time was running out Friday and ordered them to evacuate ahead of the deadly hurricane as it followed a path that could take it from one end of the state to the other. By early evening, Irma was a slightly weakened Category 4 storm with winds of 155 mph (250 kph) and forecasters said it could be back up to Category 5 when it comes ashore near Key West on Sunday morning. 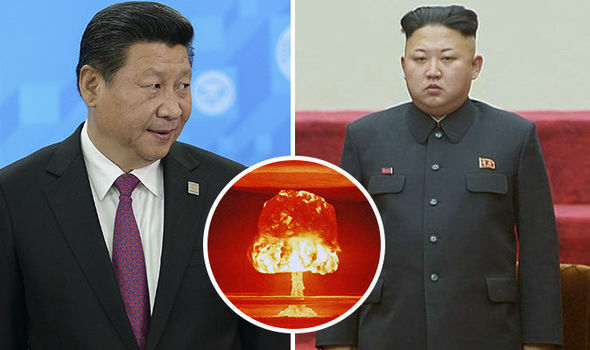 Fearing crisis, China tries not to prod North Korea, North Korea is pushing the world toward an armed conflict that will have serious geopolitical ramifications far away from the northeast Asian peninsula. Yet, China, the giant neighbor with the greatest leverage upon the belligerent regime, is not doing enough to bring Pyongyang to the negotiating table. Beijing is concerned that too much pressure might lead to a regime change in North Korea — its closest ally after Pakistan — and bring a pro-South Korean and US-tilted administration in power in Pyongyang, restricting Chinese influence in East Asia when the world’s most populous country wants to establish its credentials as a global power. Mexico earthquake: Death toll rises to 61, rescue operations continue to find survivors, One of the most powerful earthquakes ever recorded in Mexico struck off the country’s southern coast, toppling hundreds of buildings and sending panicked people fleeing into the streets in the middle of the night. At least 61 people were reported dead. 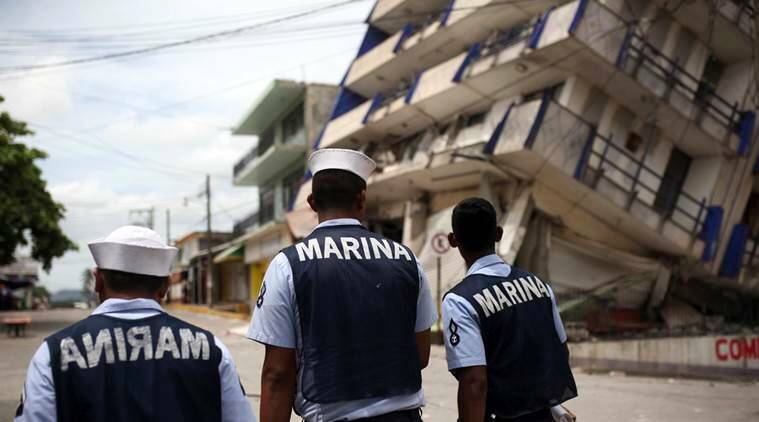 The quake that hit minutes before midnight Thursday was strong enough to cause buildings to sway violently in the capital city more than 650 miles (1,000 kilometers) away. As beds banged against walls, people still wearing pajamas ran out of their homes and gathered in frightened groups. 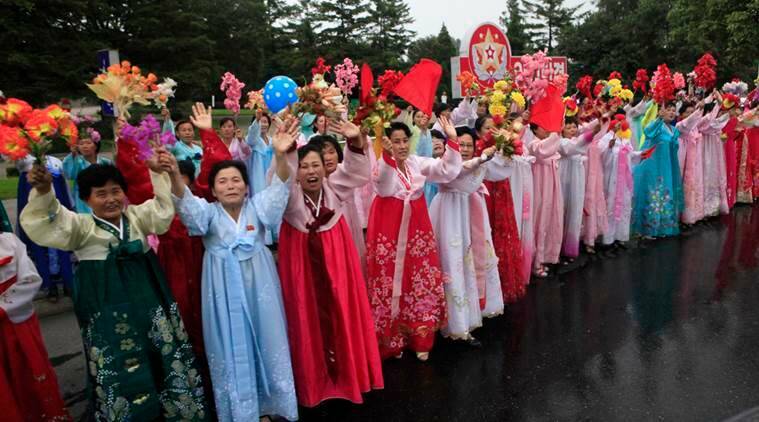 North Koreans celebrate the holiday with familiar routines, North Koreans are celebrating another public holiday with familiar routines, laying flowers and bowing in front of statues and portraits of past leaders while the outside world keeps a close watch amid speculations that another missile test is near. South Korea’s government said North Korea could potentially mark the 69th founding anniversary on Saturday with its third test of a developmental intercontinental ballistic missile. But no weapons test has been detected in North Korea so far as people in capital Pyongyang went through customary practices of showing loyalty to late leaders Kim Il Sung and Kim Jong Il.